Beth Jacobsen has over 20 years of experience in the customer service industry, more than half of that time in the SaaS world. She's passionate about employee engagement, customer experience, scaling teams, and mentoring staff, and she's presented at national conferences on topics ranging from onboarding and employee recognition to communication skills and industry processes. 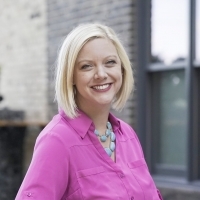 Beth has been an HDI local chapter officer for the past eight years, and she's currently serving as the president of the PulseLocal Twin Cities chapter.